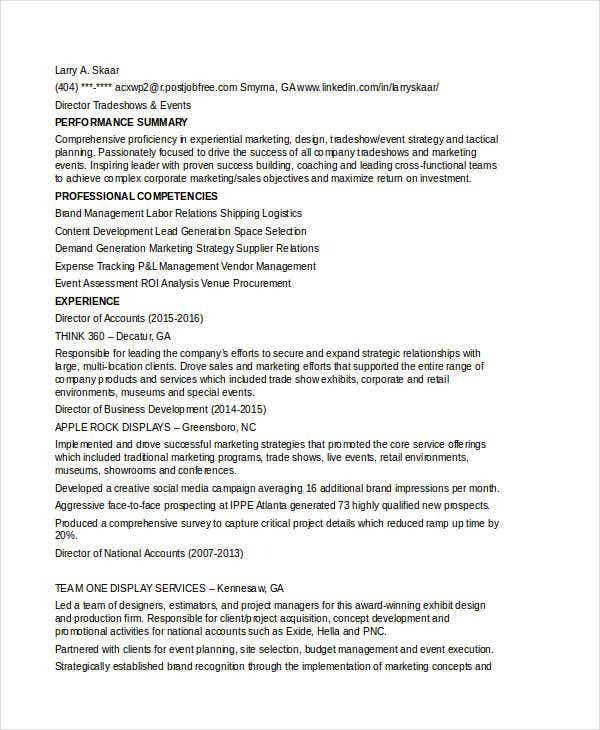 The most valuable piece of information we can provide about ourselves when we apply for jobs are our resumes. 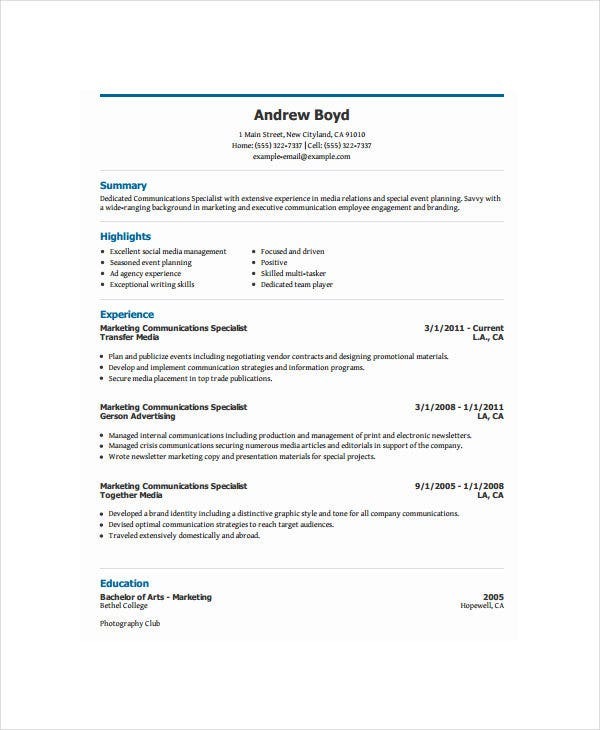 Resumes describe our work experience and skill sets for companies to identify how experienced we may be if we want to apply for certain positions. 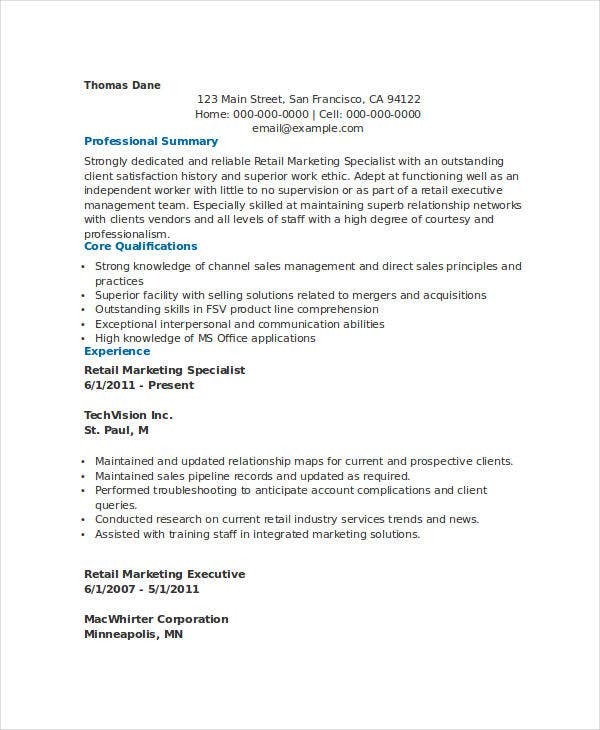 Here, we share some marketing resume examples to help give you an idea on how to create your own resumes and how significant they can be for companies when you have an attractive looking resume with a great content. 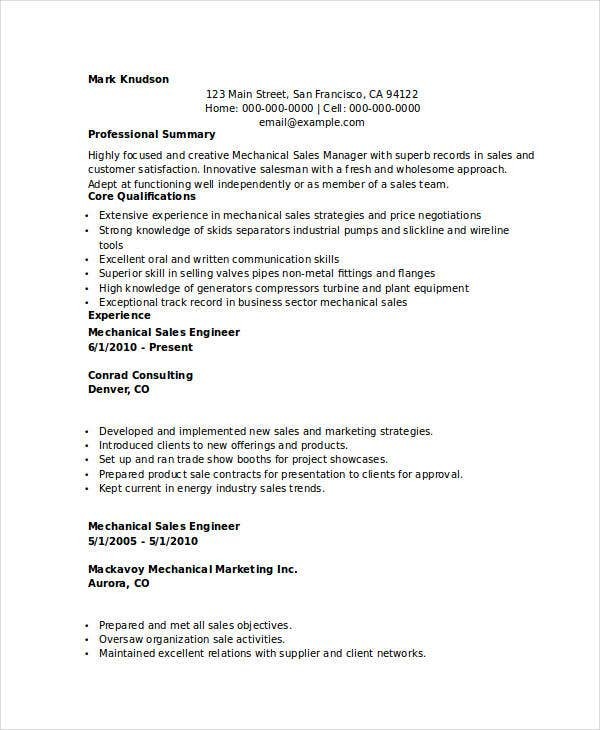 You can also check our website if you need modern sales resume templates or one-page resume templates to guide you in making your own resume. 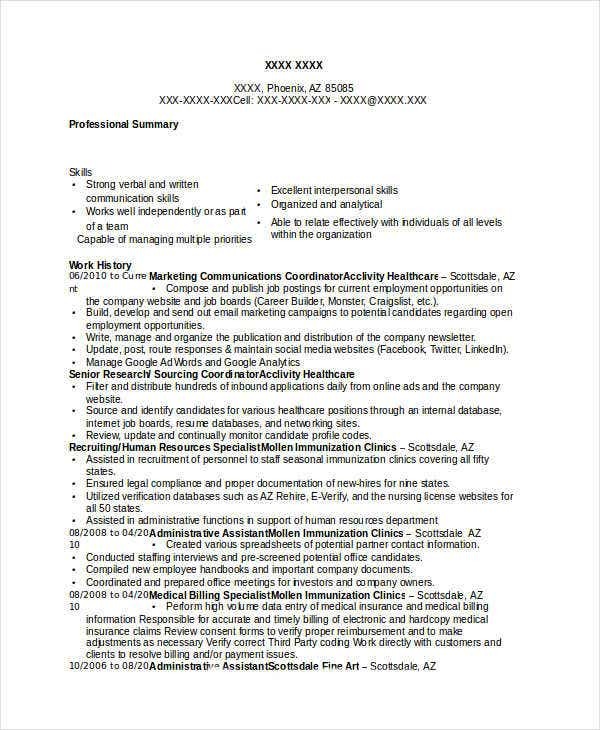 A resume is a document that contains personal information about yourself, your work experience, and skill sets you have for the hiring company to see if you fit the job details they require for a specific job. 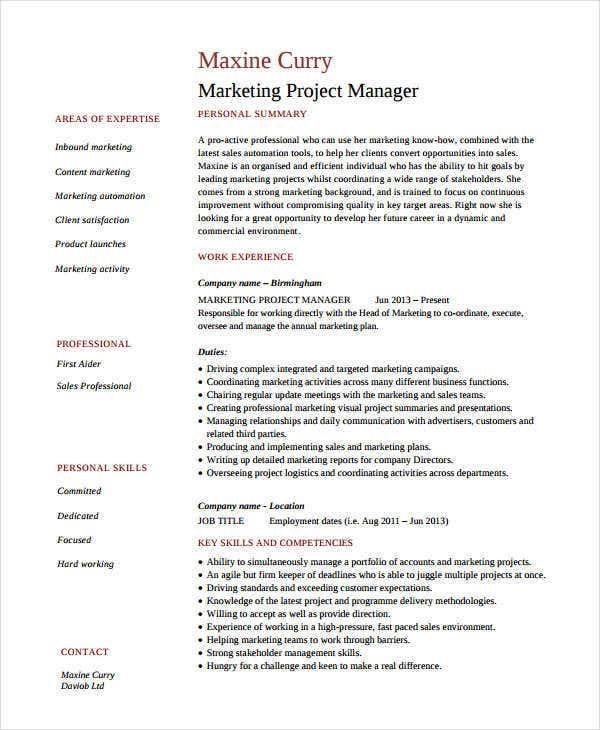 In this case, which is for marketing-related jobs, management will check if they find you suitable to work with marketing-related tasks. 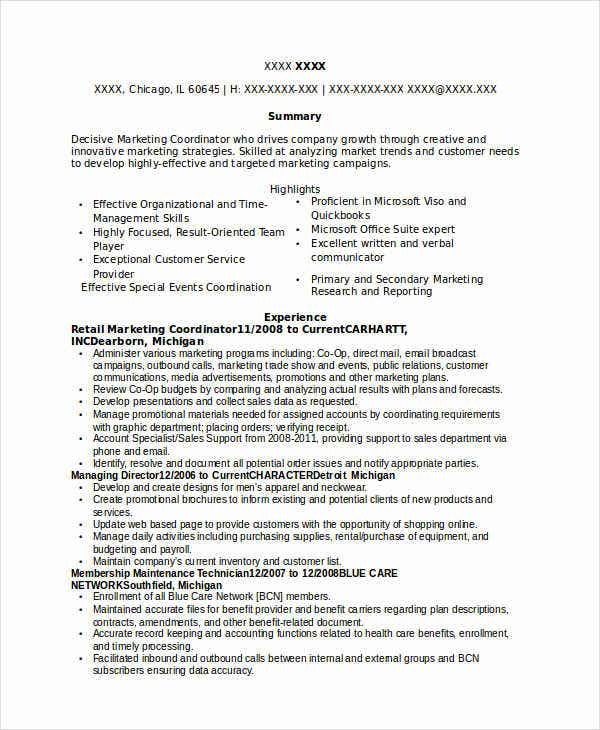 This topic will help you out how to create your own marketing resume for companies to clearly understand your skill set, your experiences, and personal information. 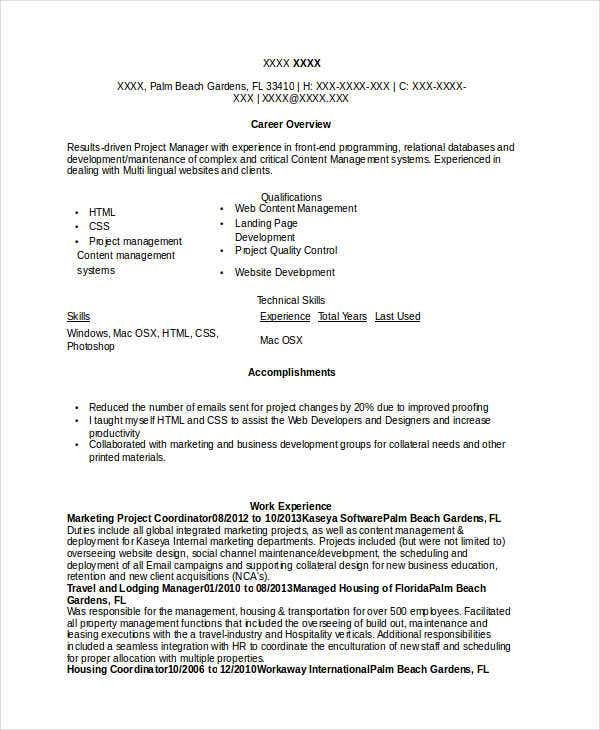 We also share the types of resume you can use to create your own and to give you an idea as well on the different resume types. 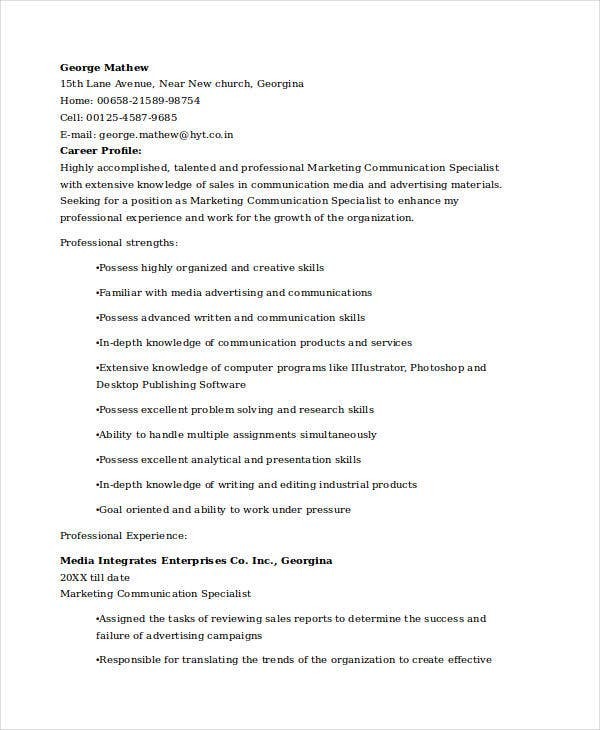 Chronological Resume – This resume type contains more on your work history in a chronological order to help the hiring company go over your work experience easily and quickly. 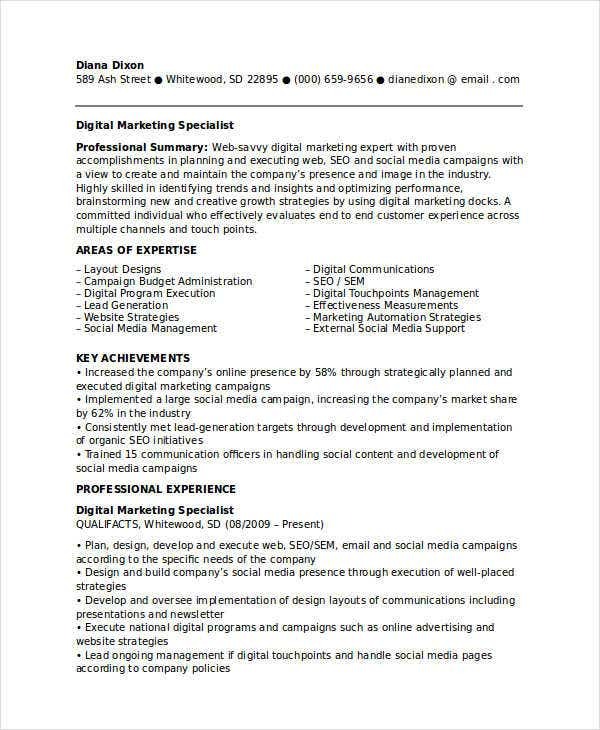 This type of resume is the one that is also commonly used today. 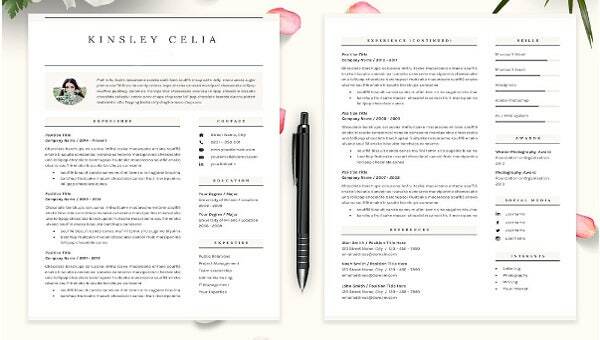 Functional Resume – This resume type focuses more on your skill sets and experience. 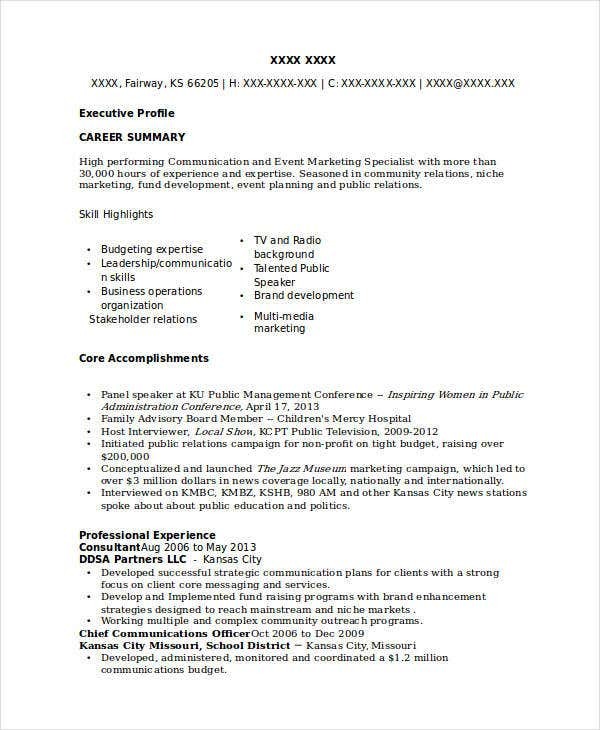 This resume type also focuses on accomplishments. 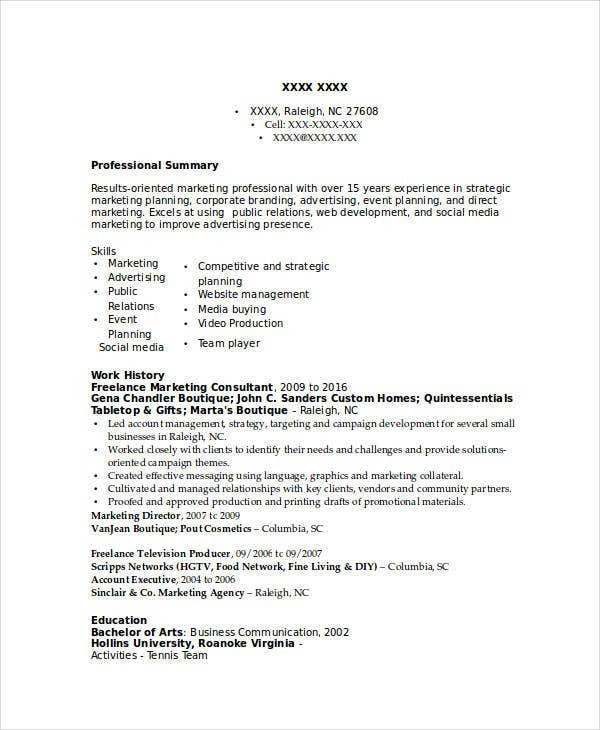 You can use this type of resume when you have a lot of skills but do not have much on work experience. 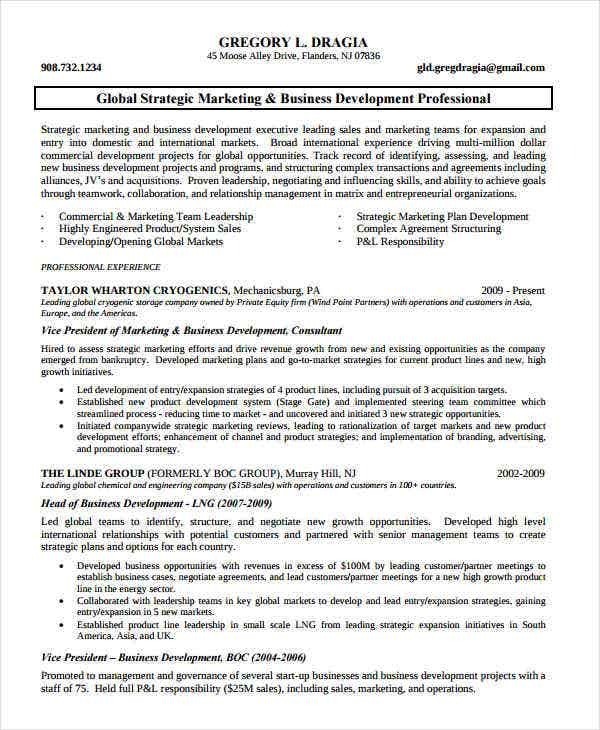 Combination Resume – You can use this type of resume when you want to focus on showing the hiring company both your skills and your work experience at the same time. 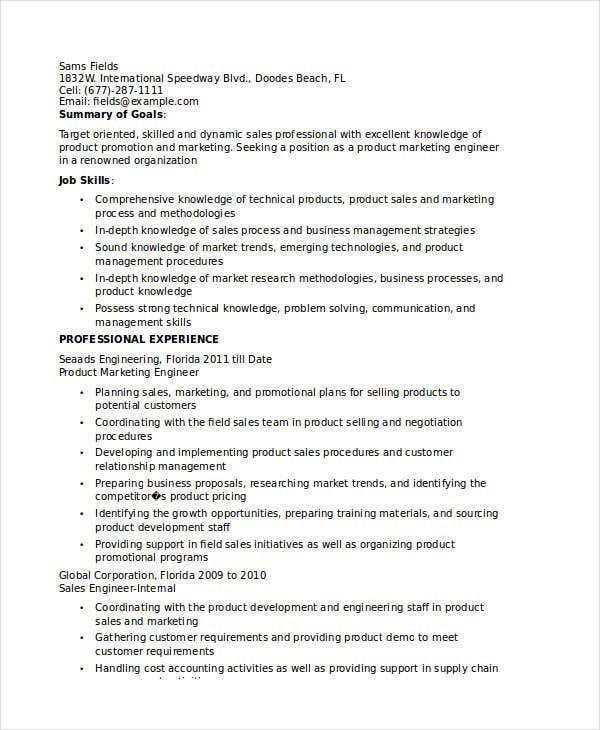 This help employers identify what you can specialize immediately. 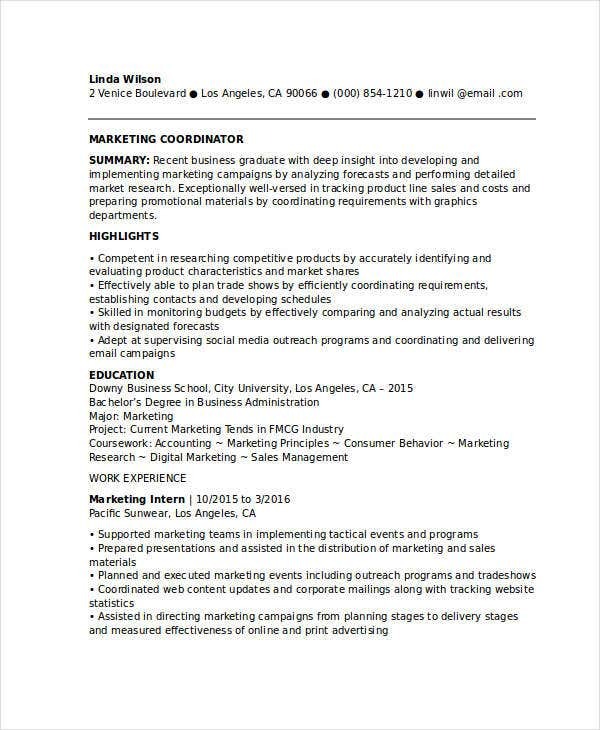 Targeted Resume – If you want to apply for a specific job, you can use this resume type as it focuses more on skills you have for the specific job your employer would want to see. 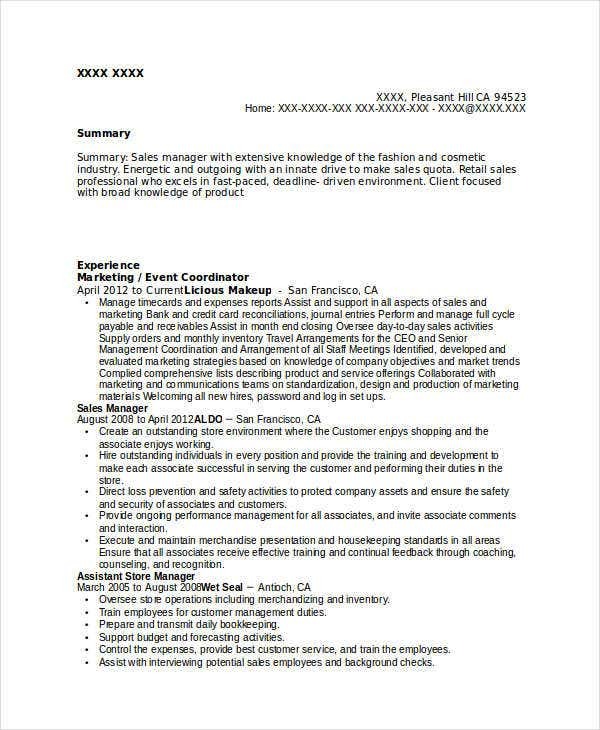 Mini Resume – You can use this resume type if you want to display specific skills with just a small summary of your work history. 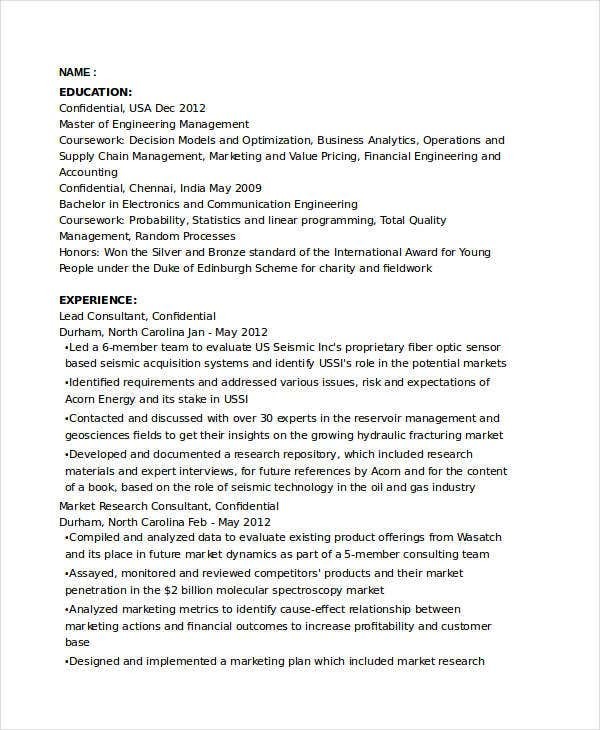 This is also used in applying for a specific job and if you have minimal work experience. 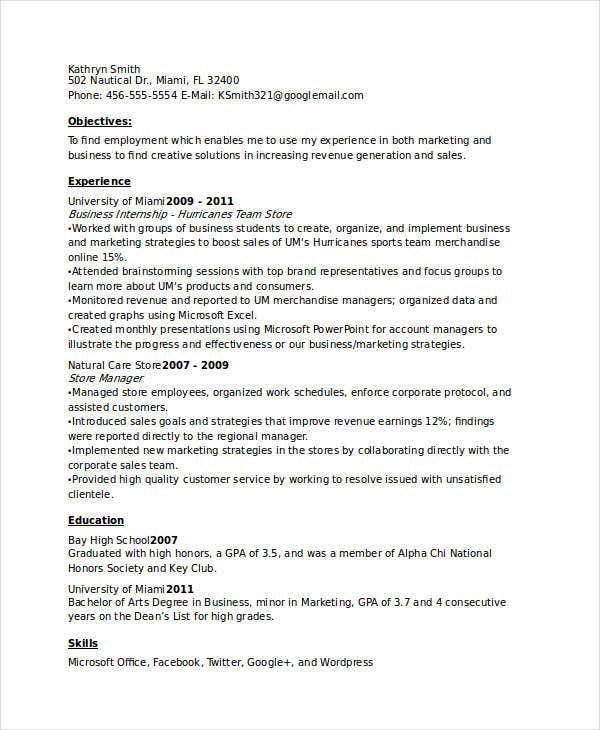 Nontraditional Resume – If you love being creative, then this is the resume type to use. 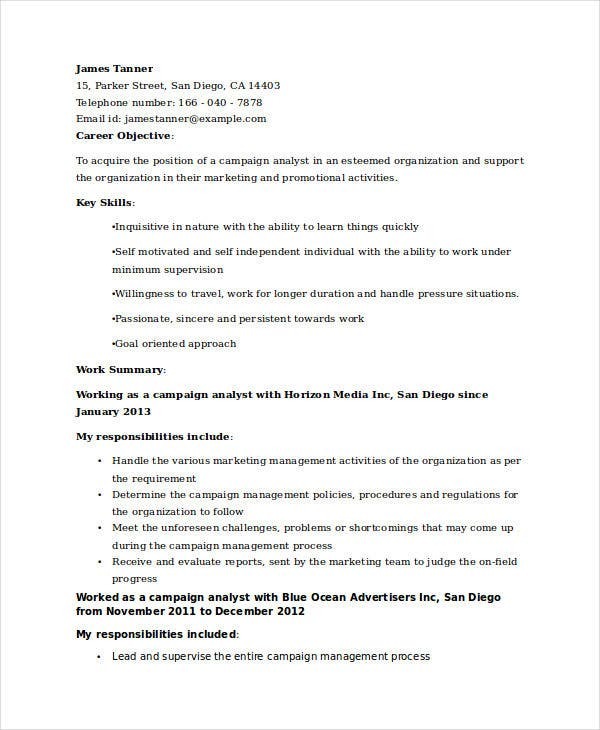 This type focuses more on your creative, which is most useful when you want to apply for creative jobs like graphic design–related work or artistic jobs that require portfolios for employers to view your skills. 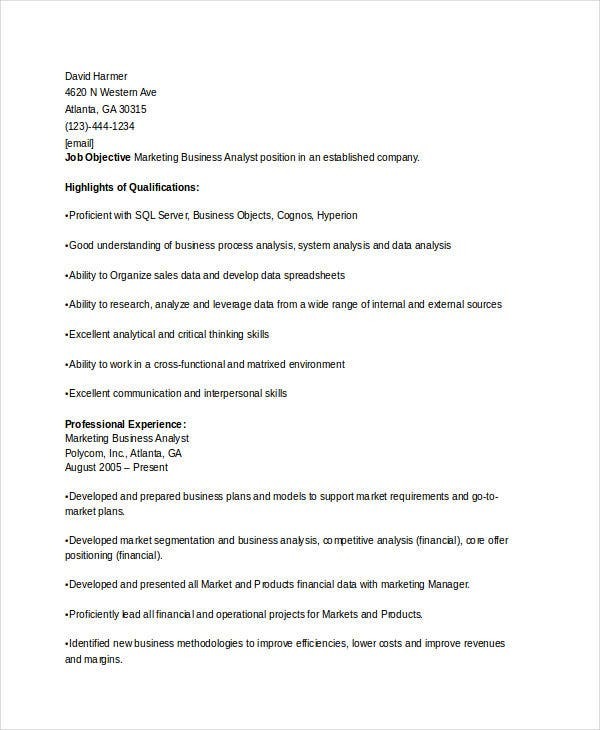 You can also check out or website if you need help in creating business resume templates or if you want to get some basic resume format templates to create your own resume. 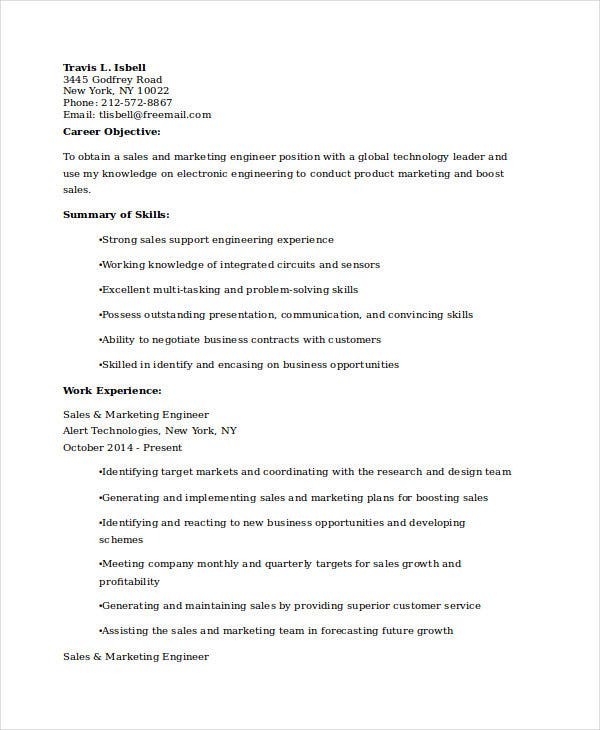 We also provide you with information on when to use such templates or resume format in applying for different jobs. Though we offer links for you to download different templates, logos, and other information, you will sometimes have to check for any download restrictions that depends on the publisher or author for a certain link to the template. 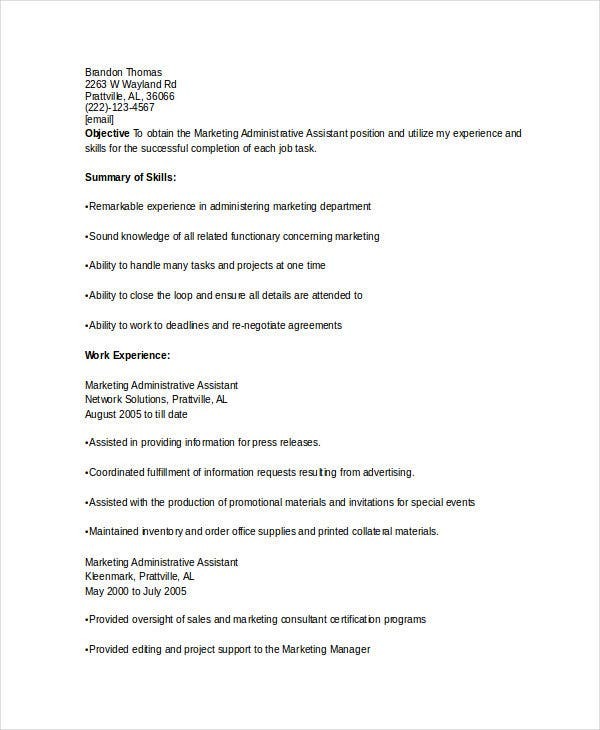 We all need a resume to apply for a specific position, and resumes are also needed by employers to check on your skill sets and work experience. 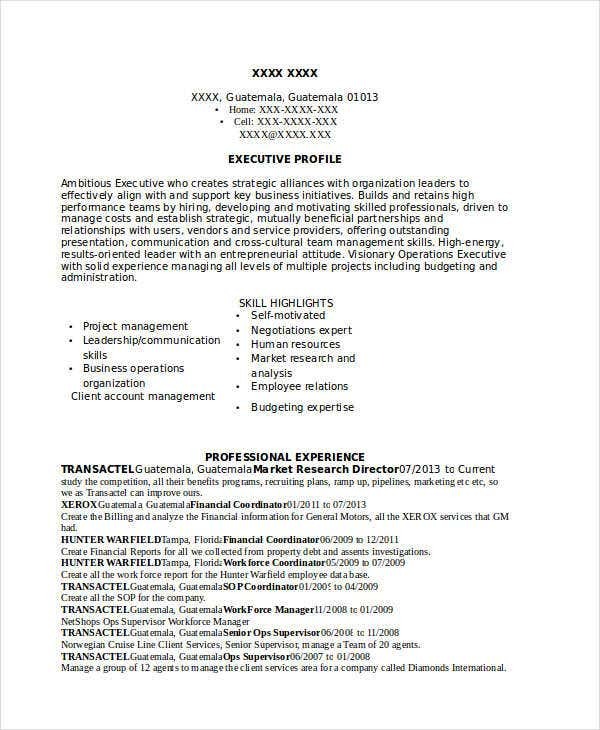 Without resumes, companies will not know your work experience or any other personal information and may not be able to gauge whether or not you are qualified for this position. 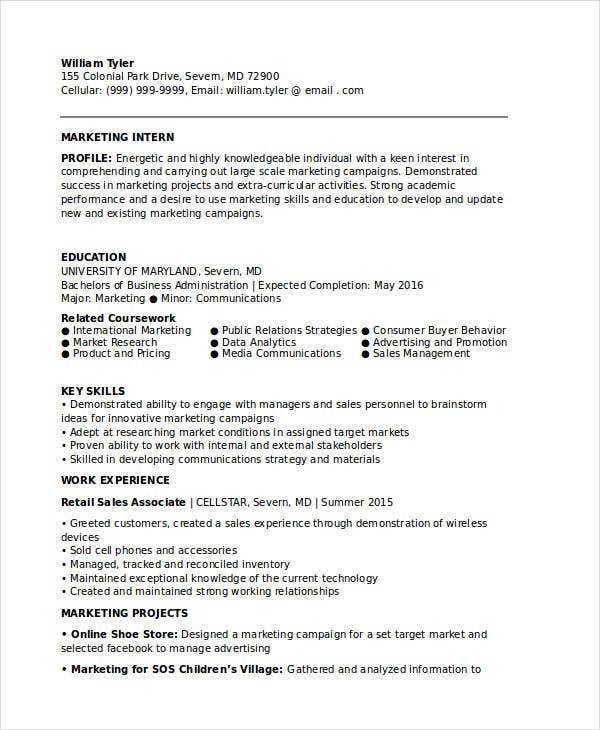 Resumes are also important because employers need resumes to screen for applicants and place qualified ones to the correct departments. 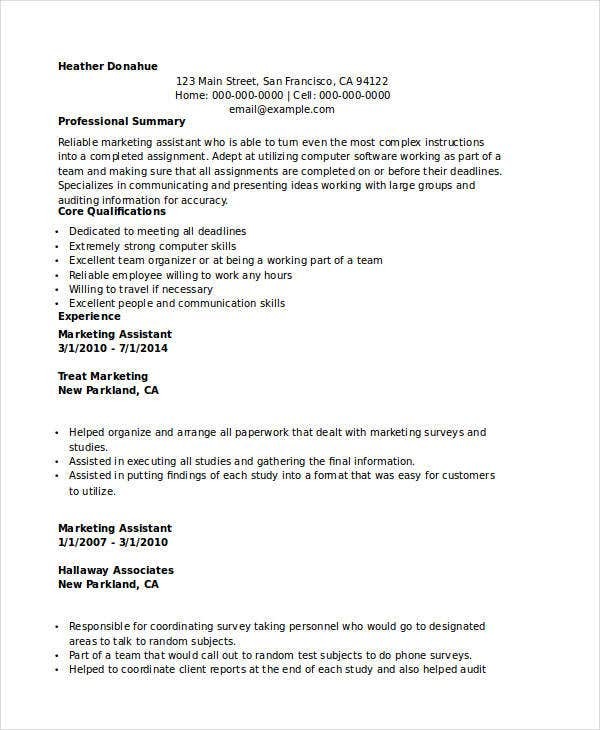 Without resumes, you will not be eligible to apply for any company. 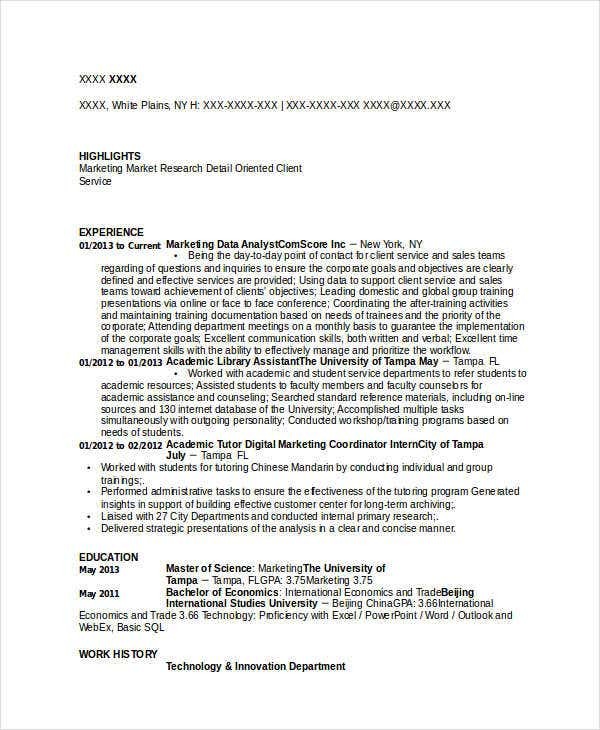 Format – Every resume needs a good format to make it look presentable and neat since first impressions on your resume is always important, and your format is what employers will most likely see first before even reading any details in your resume. 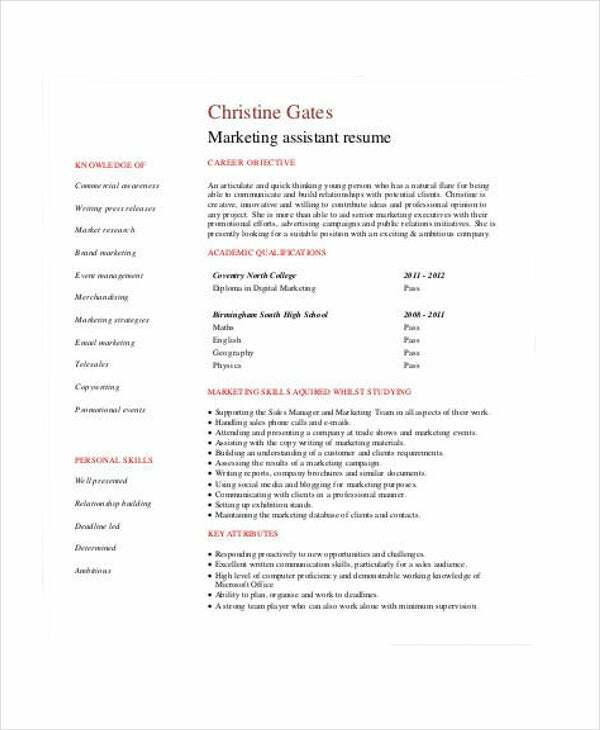 Fonts – Fonts are also important to creating a presentable resume as it determines how readable your details will be in. The usual font size resumes have should be at least 10 or 12 pt and never use Comic Sans font. 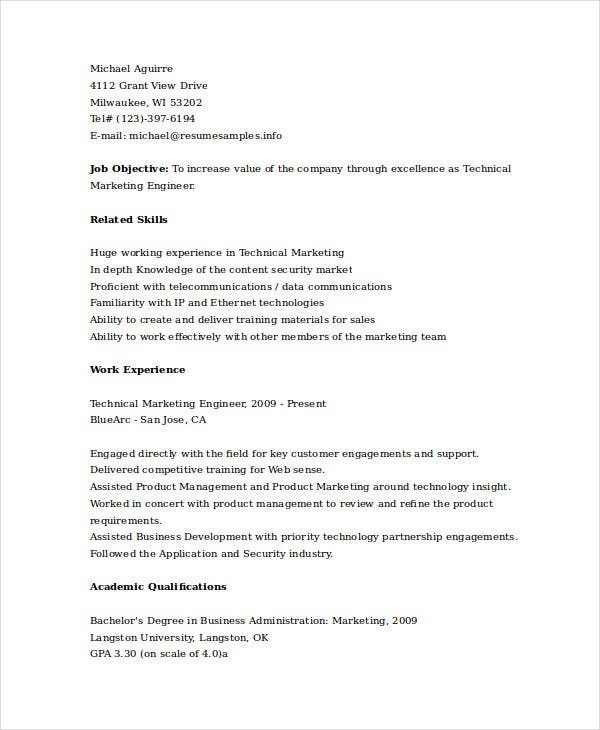 Resume type – You will have to choose a resume type for you to create the right content for your resume. 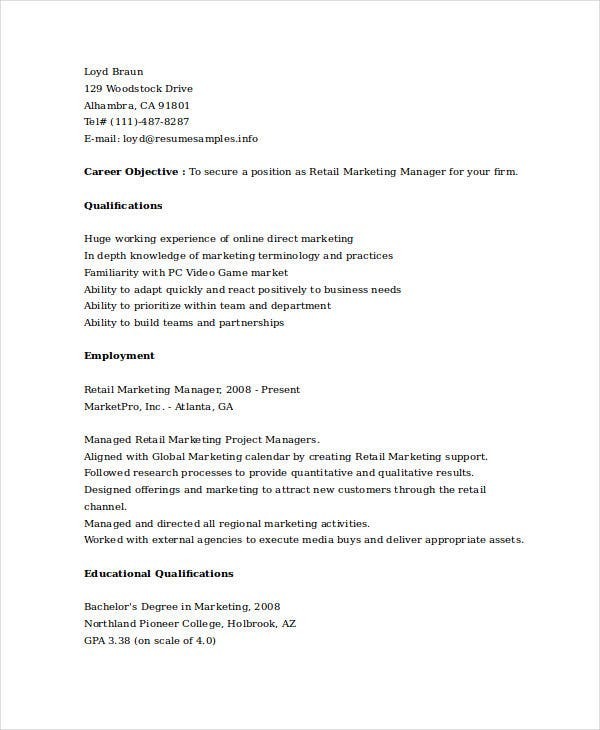 You will have to choose the correct resume type depending on the job you would want to apply for. 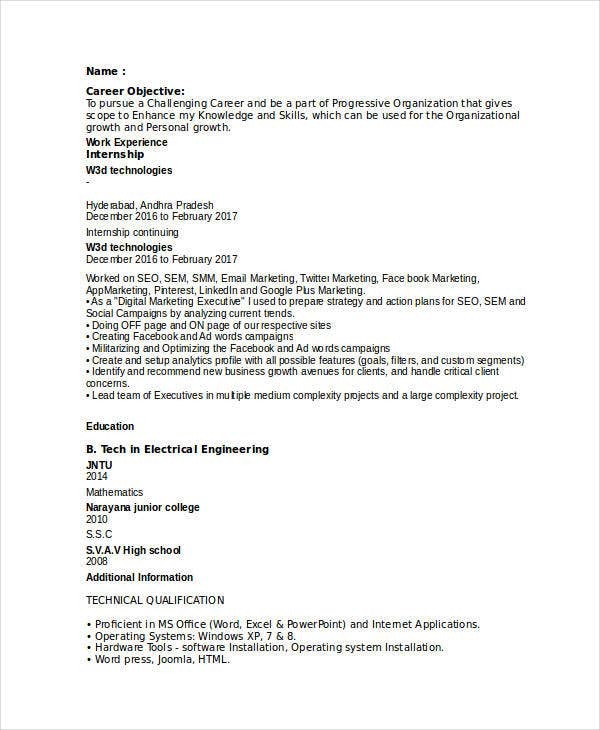 Work experience – You will also have to place in your work experience, which is one of the most important details employers will look for in a resume. This is also essential especially if you have been employed with previous companies before. 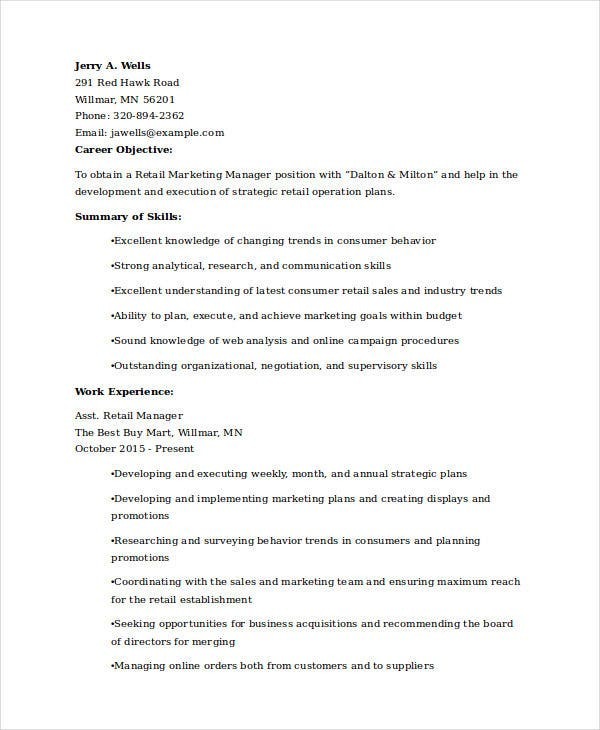 Skills – You can also place skills on your resume if it relates to a specific job position you are applying for. 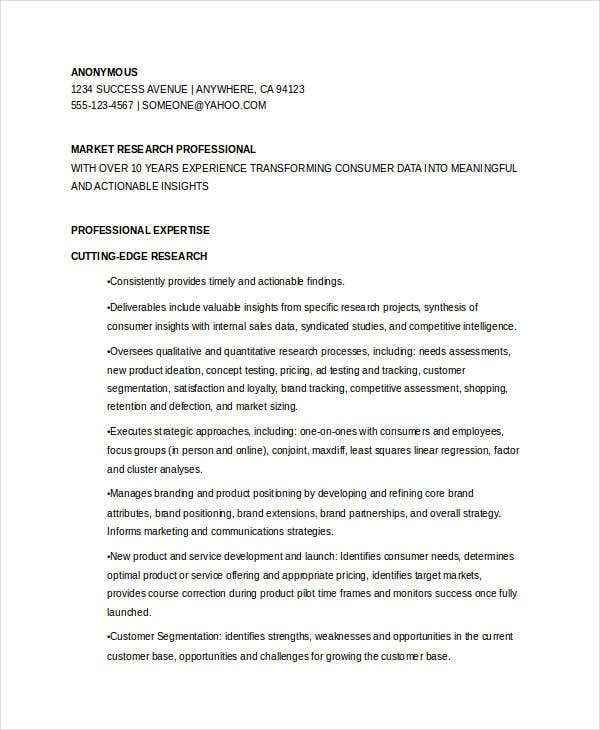 Some place both technical and extracurricular skills in their resumes to fill in more detail about themselves. 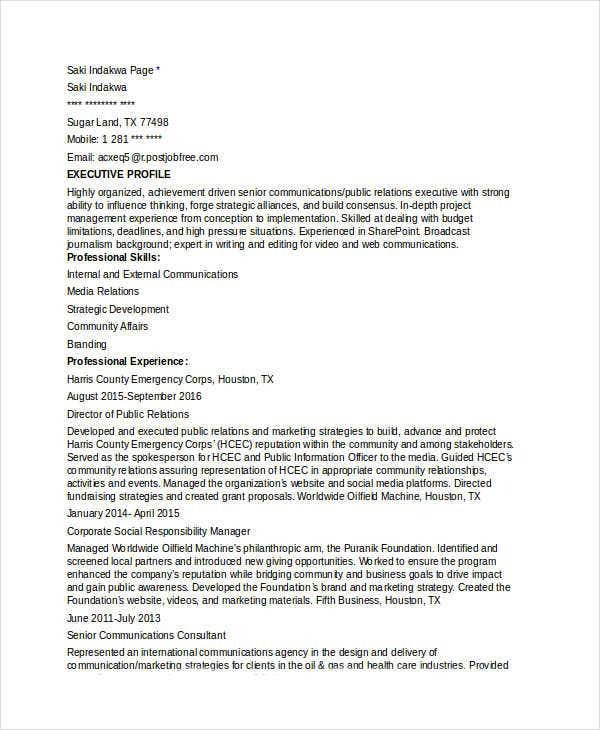 Interests – These are not really needed by some companies, but it’s always helpful to place in more personal information about yourself so that employers will be able to know you more when they will call you for an interview. 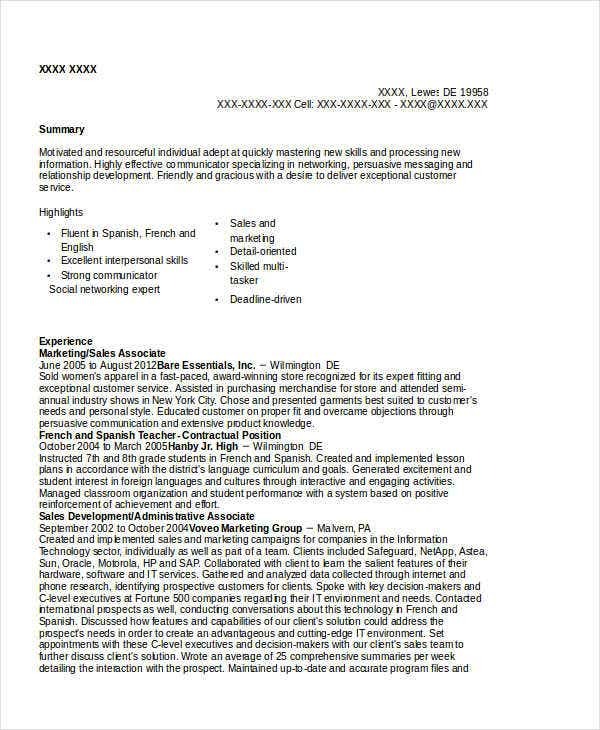 References – Placing references on your resume is important as it serves as a way for employers to contact your previous company. 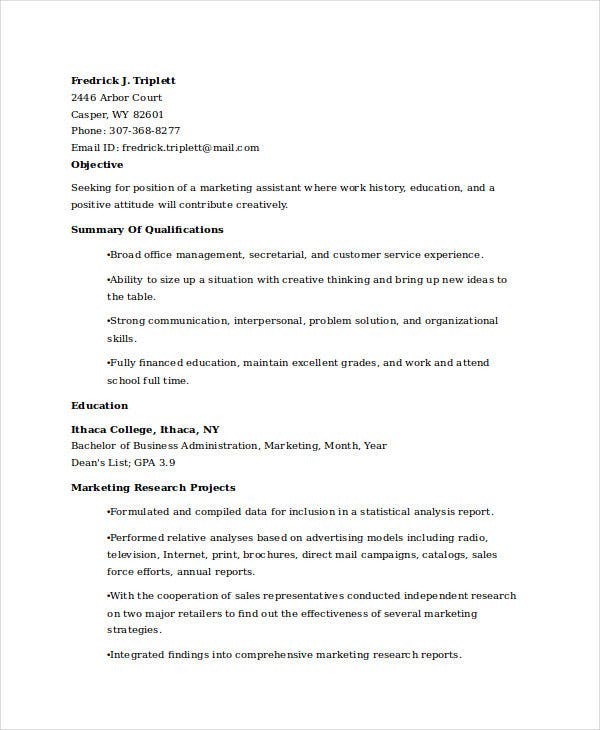 You can also check our website if you also want to download and use marketing format templates or marketing fresher resume templates for new graduates who would want to pursue a marketing career. 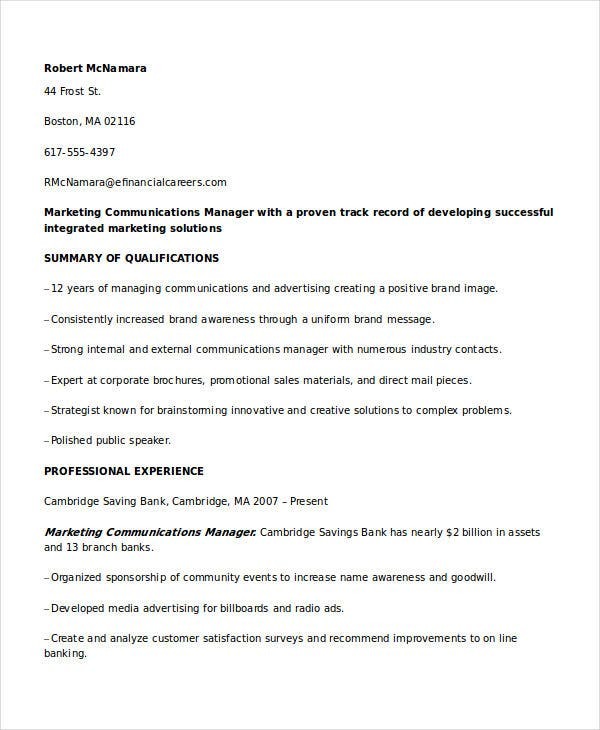 Applying for a marketing-related position requires you to posses different skills related to the specific marketing job position you are looking for. Most employers who need marketing to operate under the company will most likely require applicants to have great communication skills as a marketing associate will be socializing a lot. 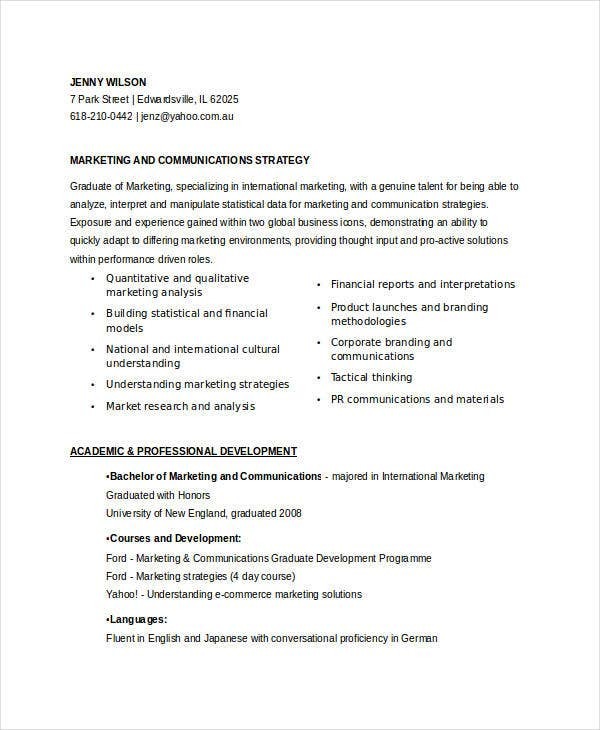 Communication skills – Again, having good communication skills is important if you want to be considered for a marketing position. 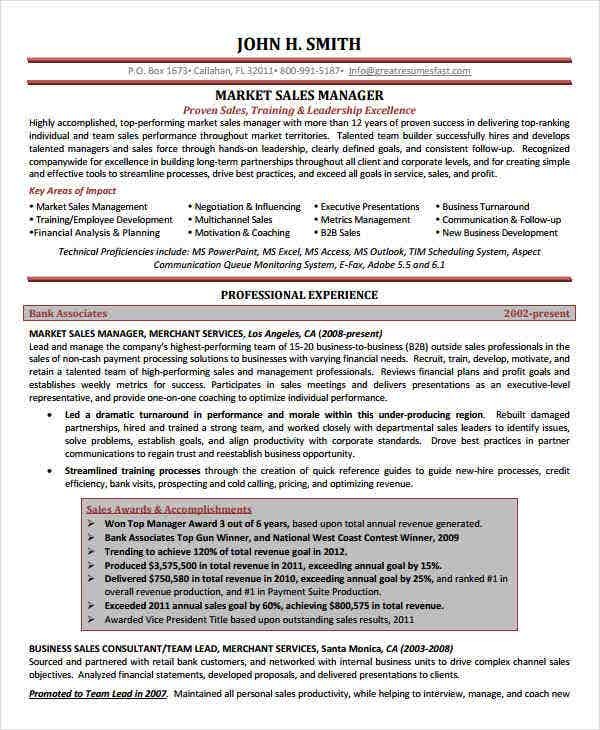 Being in the field of marketing will require you to interact with different kinds of personalities, and a marketing position will involve more interactions with other companies. Attention to detail – You will need to take note of every detail and changes you may see and be updated on everything going on, which is what most employers will be looking for in an applicant. It is important that you are always in your presence of mind so you don’t miss anything. 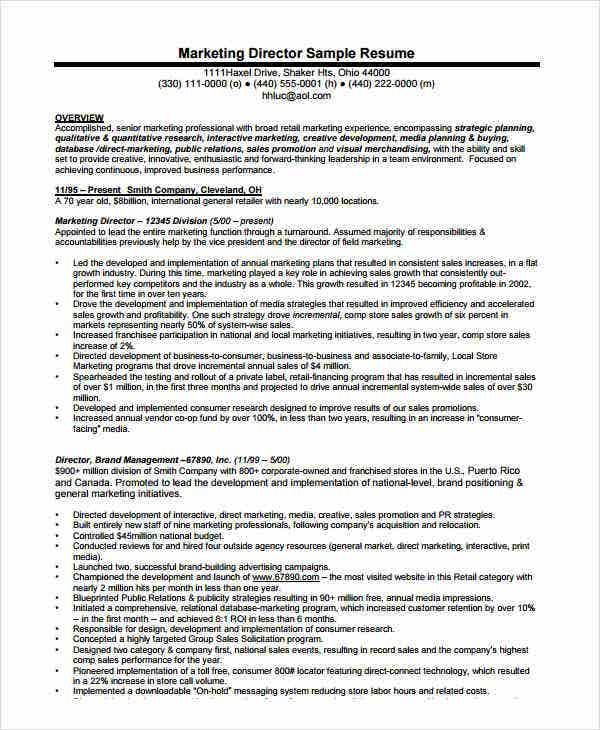 Graphic design skills – Some employers will require a marketing associate to have graphic editing skills to make posters and brochures for the company’s different products, services, and promos. Positive attitude – At times being under pressure happens a lot when you venture into the field of marketing and will give you much headaches and stress, which is why employers are always looking for potential applicants with the drive to be always positive and persevere in completing daily tasks. Creativity and expression – Companies will rely on the marketing team to create new promotions, new products, and services to attract more customers, and that is why employers also prefer hiring applicants who can think outside of the box and make creative products and promotions. 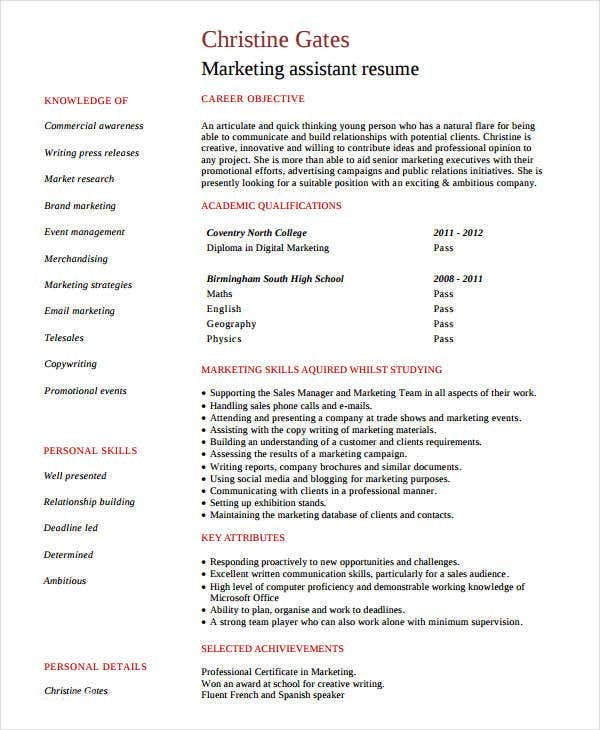 Being a team player – Most employers will require a marketing associate to be flexible enough to handle teams or be in teams to achieve big tasks. Being a team player will be able to help you and your team finish tasks faster and have better quality. 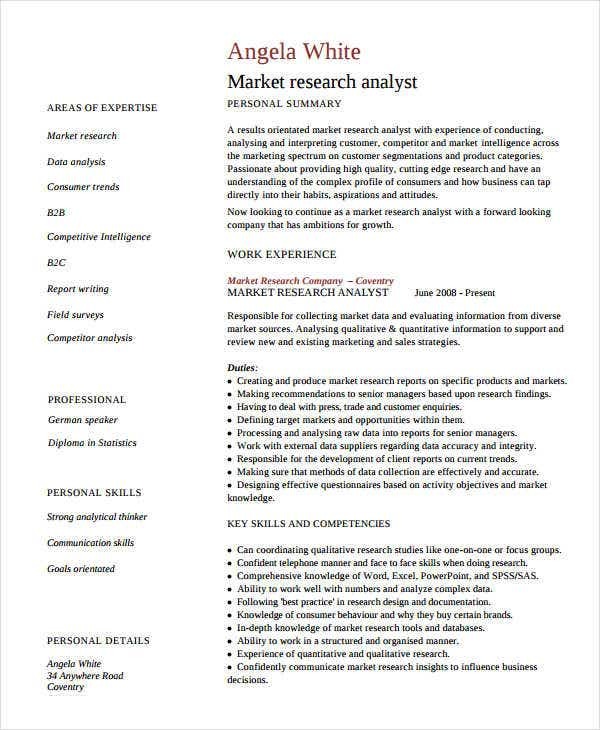 Internet – The internet is the most common source for finding jobs as you can filter down your results and search job vacancies in company websites. 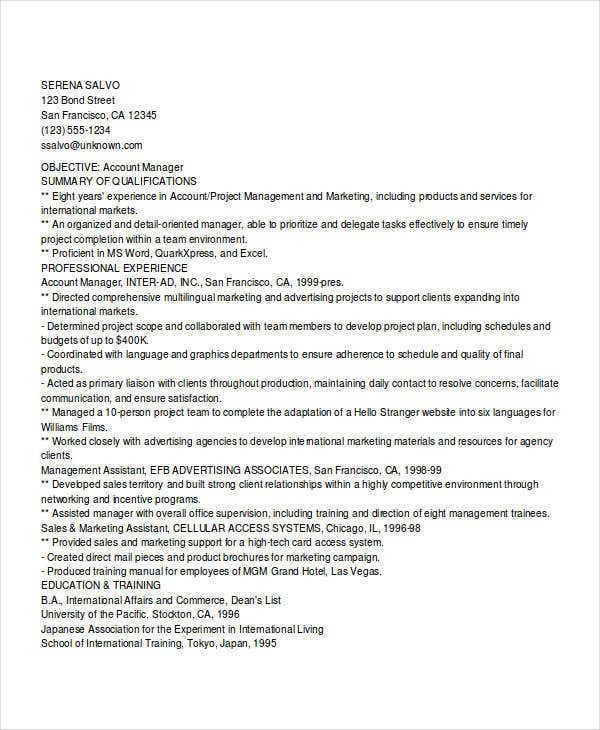 Online job portals – This is also a common source if you want a website to specifically give you job vacancy results and filter your searches for marketing related job vacancies. Newspaper ads – Reading your local newspaper will also help you find job vacancies, though not all will be marketing related, but will show you different job vacancies you can apply for. 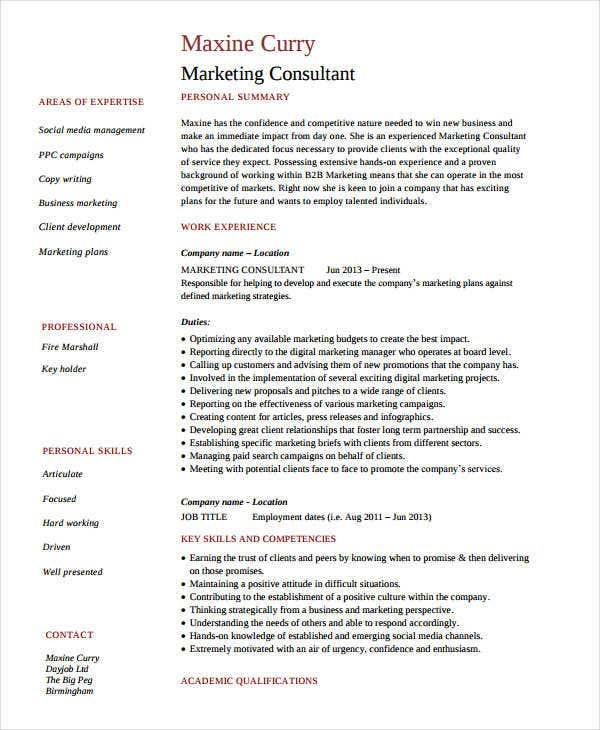 Social media – Using social media will also help you find marketing related jobs as you can message company websites for concerns and questions on job vacancies. 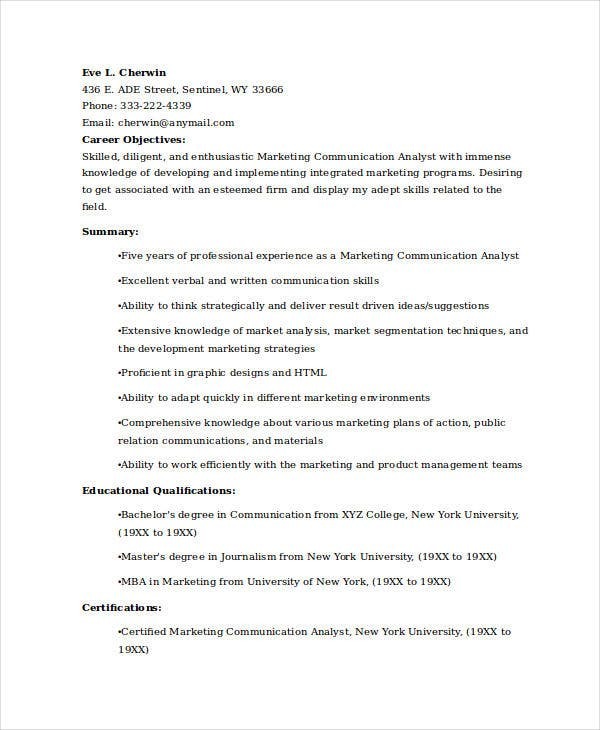 You can also search our website for different fresher resume format templates, which are meant for newly graduate individuals. 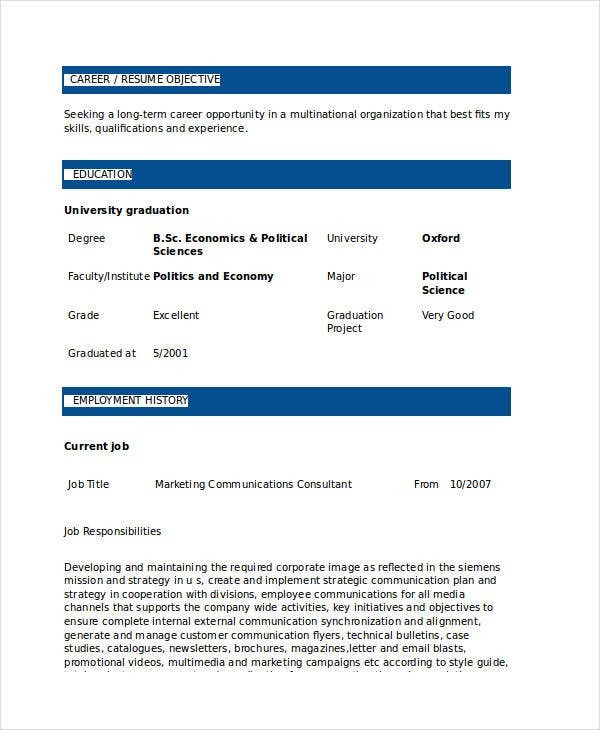 If you need more sources to create your resume, you can also check our website for more sample job resume examples to guide you.